This time of year and we start to think about a holiday abroad. Where would we like to go? Where can we afford to go? A scan of the internet soon narrows the possibilities as a few affordable options start to appear on the screen. When I first started taking an annual vacation, back in the late eighties, all I ever needed was a £100 flight, and then some spending money to tide me over. 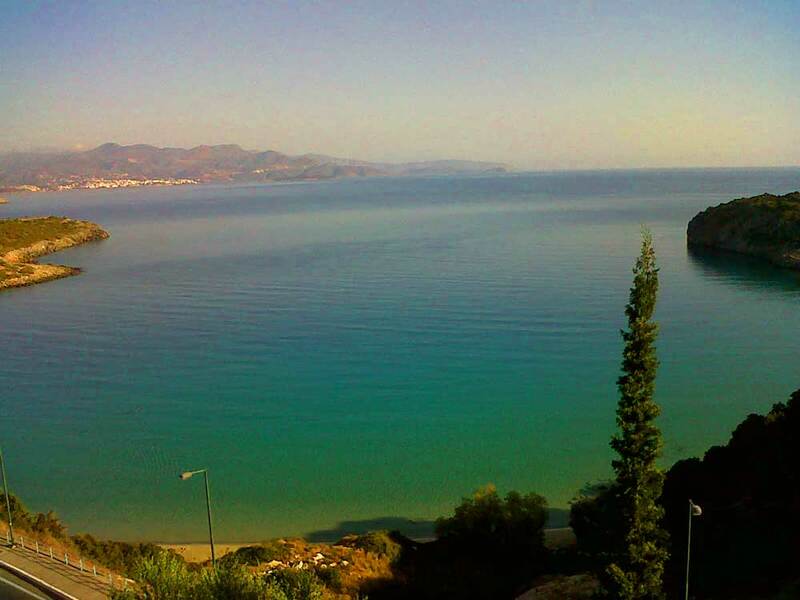 My first trip involved a flight to Corfu, a boat ride to Anti-Paxos and then two weeks of sleeping on rocky beaches, or taking cheap rooms above Tavernas. Of course I was a lot younger then, but the idea of a value holiday, in the pre-Euro Greek islands still existed, and you could have a great time with nothing more than a couple of hundred pounds spending money. I spend many a summer back-packing around the Greek Islands and never once had to worry about the cost. All we ever needed was three meals a day, beer in the evenings, ice cream and coca-cola in the afternoon and a bed when we felt the need to shower rather than wash in the morning tide. Obviously things are a little different now, partly because I am older, but mainly because I have young children and that creates its own limitations. Holidays are becoming quite a luxury item for those that have families, although sometimes a bargain can still be found. You have to search very hard though for what seems to be promising quite often turns out to be not-so. Cheap holidays that are too good to be true normally are. Firstly you have the booking fees added to them, and then luggage costs, for you now have to pay per suitcase on top of your seat cost. And this in its own right annoys me a little as it’s meant to be about weight. I’ve been stood at the airport beside a family of much larger people than myself, their combined body weight the same as a small bus, yet had to find an extra £50 because my luggage is a mere 5kg over weight. I have nothing against larger people, it just seems if you are going to charge for weight, it should be for combined mass, not just that extra book or two in your luggage. To continue on my theme though, there are also taxes, and surcharges, and meal costs and well, a whole string of extras that quite often more than double the cost of the ’reasonable flight’ that you were momentarily excited about on the internet. On top of this there is the cost of transfers that so often used to be free, and the hotel itself that never seems to offer its ‘special’ advertised price on the week you want to take a holiday. Before all of this you have the cost of getting to the airport, which if you are trying to find the reasonably priced holiday, normally means a flight out at 6.45 a.m., and therefore excludes the idea of getting the whole family on the train and taking the cheaper option. No, you have to drive, and then you have to pay for parking at the other end, not to mention the escalating price of petrol that makes the weekly trip to Tesco’s a mortgageable event in its own right. Let’s face it though, who wants to arrive back from a tiring flight at 8pm on a Sunday evening, after negotiating a hotel transfer in a not-so-air-conditioned-coach, a check-in queue in the heat, a three hour wait for a delayed flight, the traipse through Heathrow or Gatwick, and finally have to get the whole family onto a train to get back into London, or further out even and still be a walk or bus ride away from home. You don’t, so there’s another cost, although this one is probably actually worth every penny when you think about it. Let’s now add on the snacks and drinks at the airport, the last minute purchases as there is always something you have forgotten, however hard you thought you had planned. And of course the fact your wife has a bit of time on her hands in duty free, and she obviously really needs that swim suit that she’s just seen in Monsoon, and that bottle of channel?!? The list never stops. No matter how well you think you might have done, the costs always add up, so be prepared and assume the worst. All of that said, none of this compares to the extras we incurred on our trip to Crete last April. After a number of evenings spent trawling the web we found the affordable deal we were looking for. We negotiated the gauntlet of extras and managed to arrange the whole thing, the flights, the transfers, the hotel and a hire car as well, all within the original budget we set ourselves. We were very pleased with ourselves, the hotel looked AMAZING, it was in a quiet part of Crete which we always prefer. This was going to be the best holiday ever. It needed to be. It was going to be our son’s first holiday abroad; we wanted him to remember it for all the right reasons. My wife was pregnant with our second child, and we were mid-way packing to move house. It seemed a while before we would probably get away again, this had to be good. So it probably started going wrong the night before we left. We decided to go out for dinner with family, and ended up getting home rather late. Having never packed for a child before we were left with a mammoth task sifting through everything and whittling down all our clothes etc into the one suitcase we had paid for as baggage. All the heavy stuff was going into my sports bag, to travel with me as hand luggage, or in the wife’s handbag. We would take a carrier bag or two as well with Nappies and bits. Yes this would work. All this of course in a room already piled high with packed boxes for the move, some of which having to be reopened for forgotten necessities like water wings and sun tan lotion. We finished about four in the morning, and I insisted we go to bed for the hour before we had to head off for the drive to Stanstead airport, the other side of London from us. And this was perhaps the biggest mistake we could have made. We slept through the alarm! So we awoke with about an hour and 15 minutes between us and the flight. Breakfast would have to be at the other end. A bottle or two was made up for our son, and we bundled the bags and loose clothing into the boot and we were off. A lightening dawn run around the M25 with the car engaging hyper-drive drive for the journey. There was no traffic, and the closer we got the more likely it seemed we might just get there in time. I phoned the airport and the ticket office and everyone I could think of on the way, but all I could find was the odd recorded message. Early on a Saturday morning the working world is still having breakfast, with no contingency for idiots that sleep through their alarms and miss flights. There was nothing we could do but go for it, so we kept it at light speed and put our faith in the holiday gods. Suddenly we were approaching Stanstead and there was still time, the petrol was running out but we could do this, we wouldn’t miss our flight, we only had to drop the car off outside the airport, I had spoken to the parking company and they would take the car straight off our hands rather than the normal park and bus ride. It was going to work, disaster would be avoided, I would not spend the next year being in penance for deciding to get an hours sleep! It was all going to be o.k. But as we drove past the exit for Stanstead and carried on up the motorway, I knew it was just not meant to be. We had missed the bloody turning. I am not going to try and say who was to blame, that argument will rage on for years to come, but let’s just say, of all the things to happen, that was the one I really didn’t think we deserved. We carried on to the next exit, turned around, and headed back to the airport, dropping the car off with nothing but fumes in the tank, and ran into the departure lounge, child and bags in tow. This was not an occasion for formalities, the queues inside were predictably long, the travellers understandably frayed from their early morning starts. We grabbed a Ryan Air employee and queried the state of our flight. I mean, it could be delayed, the early morning rush and stress may have been all for nothing, there was still hope even at this stage with the departure time now a mere 5 minutes away. But of course not, we had missed the flight and there was no way to recover the situation. Time for plan B. So we enquired about alternative flights, apparently the next was Tuesday, so that was no good, but there was a flight to Iraklion, a different airport at the other end of the Island, but it would do. We would only have to wait three hours or so, BUT, it was flying from Luton Airport. No problem, we paid the additional £400 for flights, bought tickets for the bus (£20) that connected the airports, and took the hour ride, leaving the car in the pre-paid parking. 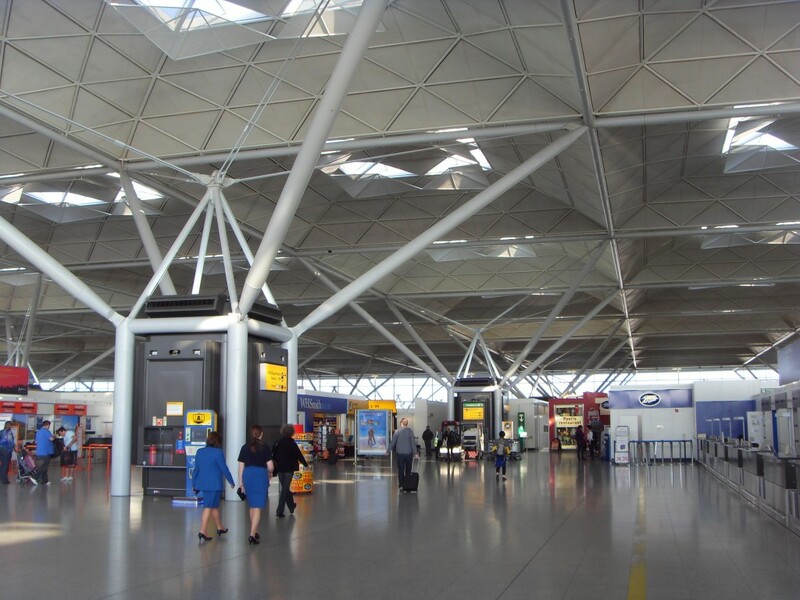 We had to come back through Stanstead on the way back so that was all fine. We made it to Luton in good time, and started to check in. Now we find out the baggage charges we had paid originally were of course no longer valid, so it’s another £80 for our somewhat overweight bag which we check in. We watch it moving along the conveyor, the rubber belt sagging with it’s weight. We still have plenty of time to get something to eat and a cup of coffee so head to passport control. As it is with flights now, all our little bottles and lotions are placed in a plastic bag and of course there is one my wife has forgotten that is too big, so a £50 bottle of perfume is taken from us. It’s only half full so there’s not too much of a problem. We have now passed the point of no return and compared to the £500 extra already spent that morning, a bottle of perfume is a small thing. We get through and I camp out in a cafe with what remains of the luggage. I keep my son with me and my wife disappears of into the shops with reassurances of not needing to buy anything. Of course that is always relative, and she soon returns with carrier bags and explanations of how necessary all the purchases were. This was such a bargain, you wouldn’t believe it, and we needed it anyway. Of course. The flight surprisingly goes without a hitch. Although the meals we had paid for previously are sitting in a tray heading to another part of the Island along with our empty seats. We have to buy food and snacks, but in a moment of extreme self restraint my wife refuses to buy anything from the duty free trolley. We arrive on Crete finally, somewhat later than planned, negotiate the airport which is always a surprisingly simple process in Greece, and start looking around for a taxi to take us across the island. Again three empty paid for seats on a coach have been missed somewhere else on the island as we find another €90 for our fare. About 8 hours after our original arrival time we roll up outside the most incredible hotel I could imagine having received assurances from the taxi driver that it was the best in town, and all the troubles of the day start to melt away as we head for an amazing buffet spread dinner, with desserts alone that would justify the journey there, and from that point forward we can start enjoying our holiday, you would think. The next morning we get another taxi to the car hire place, right beside the original airport we were to have flown into, and whilst my wife is off with the taxi driver looking for an ATM to draw cash for a deposit, it dawns on me that I have forgotten my drivers licence, and I think it is the look of abject horror on my face as she returns that tips her off that all is not well. At this point she bursts into tears, and I have a reached pretty low point of self esteem myself. Of course I know exactly where my driver’s licence is, having put it somewhere safe during the packing of the house, but with no way to get access to it from Greece, we have to accept defeat and resign ourselves to a carless holiday, and another £200+ down the drain. I understand why my wife is in tears, it’s sometimes just too much. From that point on things can only get better, and we start to have a lovely holiday. My son really enjoys the whole experience, at nine months old he would probably like anywhere as long as his Mum and Dad are there with him, but I like to tell myself he will develop a love affair for the Greek Islands as I have had for many years. We actually have a really great time. We have a great hotel, superb food, and time away from all the stresses of home life. The rest of the week honestly passes without any problems at all. The more we explore the area, the more we like it, and with no hire car I am forced to take my son out for long walks through the olive groves which is among my favourite things. By the time we are due to leave we just want to stay there forever, but there is a house move to organise and the harsh reality of work to be faced again. Of course we have to find €80 for our baggage on the way back, and have spent half our spending money on taxis whilst we are there but a holiday is a holiday. It’s just not quite the bargain we thought we had found ourselves.